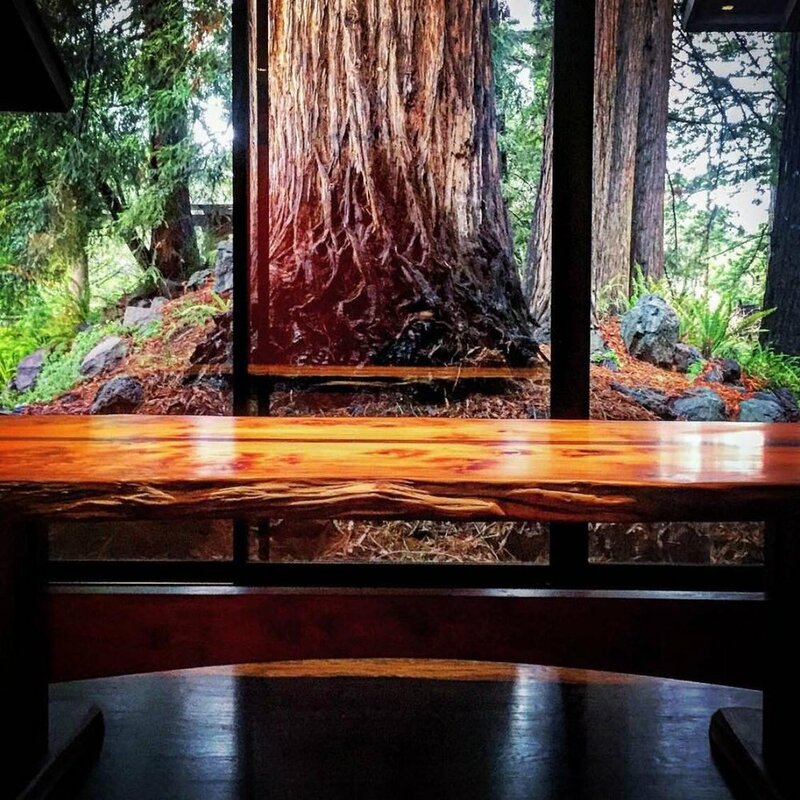 We searched far and wide for the right redwood slab for this commissioned dining table. Ultimately we found what we were looking for in Mendocino County. 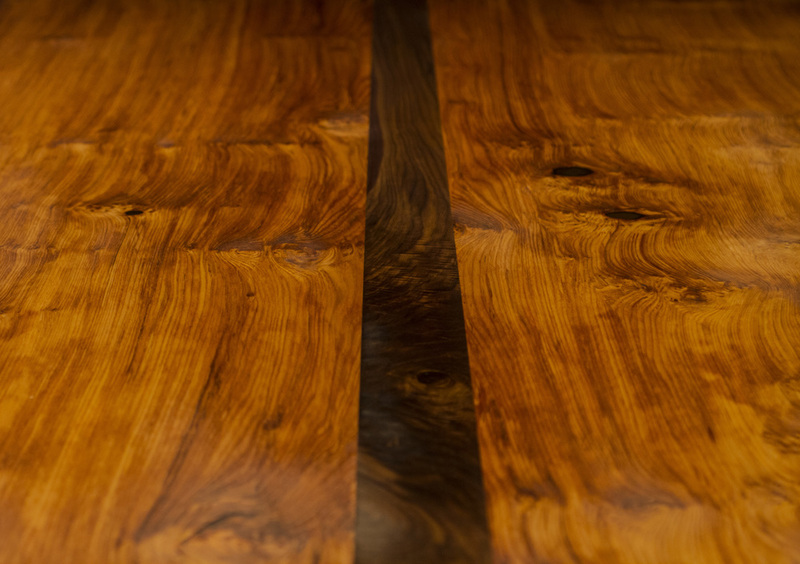 The finished table measures ten feet long and features a contrasting black walnut spine, setting the two redwood halves apart. The base is black walnut with a redwood stretcher made from the center of the slab.